Well-known human rights lawyer Mihir Desai has alleged "extreme pressure" on the Central Bureau of Investigation (CBI), which has taken finally a U-turn against its own charge sheet in the Sohrabuddin fake encounter case. He says, this appears to be a clear case of “caged parrot syndrome”, even as indicating it simultaneously suggests an effort to bury the case itself. Pointing towards how Rubabuddin, Sohrabuddin Sheikh’s brother, “was the person who had brought the case to light 10 years ago by writing to the Supreme Court”, which was diligently followed up, Desai says, the way he decided to withdraw his complaint against BJP president Amit Shah in November this year points to the "extreme pressure brought on him." 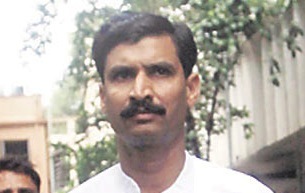 Desai points to how in December, 2005 Rubabuddin wrote a letter to the Chief Justice of India complaining about the killing of his brother Sohrabuddin and the disappearance of his sister in law Kauser Bi at the hands of the Gujarat Police, the Anti-Terrorism Squad (ATS) and the Rajasthan Police. The Court forwarded the letter to the Director General of Police for an enquiry. During the pendency of the enquiry, Tulsiram Prajapati, a witness to the abduction of Sohrabuddin and his wife Kauser Bi was, also killed in an extra-judicial killing. Rubabuddin approached the Supreme Court seeking a CBI investigation. The CBI charge sheet of July 23, 2010 called Shah “the lynchpin in the conspiracy”. It led to his arrest on October 29, 2010. “The CBI claimed that Shah presided over an extortion racket and that it was under his pressure and at his behest that the Gujarat police tried to cover up his involvement in the killings”, Desai says. I know one thing that Mr.Narendra Modiji is on hit list by the SIMI / Indian Mujaideens from 2002 Gujarat riots. Now the Muslim 's will become under ground and will not sit idle in their activities against India / Hindus. Muslims started the work to disturb peace in India. The terrorists aims are now to ruin the economy of India by fires etc in big cities malls buildings. Why no actions taken by the UPA I and UPA II from 2004 to 2014? Pakistan will never hand over the Under world Dawood Ibrahim to India. As well as Sayeed Hafiz who is mater mind of Mumbai attack on 26.11.2008. Repeated meeting of our PM Minister and Pakistan President will not bring any solutions. Pakistan leaders can only survive till they will go speaking against India as India is number one enemy of Pakistan. David Headley roaming in our country from 2007 before Ahmadabad Bomb Blasts on 26.7.2008. What action India took? Innocent peoples are facing the terror sponsored by Pakistan against India. Now we /India should be ready for a war with Pakistan. Only solution.